It may seem unbelievable, but there are hundreds of thousands of babies born around the world each day. As our world continues to grow, so does the number of pregnancy solutions that are available to those who are expecting. In the past, it was more difficult to ascertain the overall health of your baby or to be for sure whether or not the pregnancy was viable. In addition to this, it was often common for complications to result in a miscarriage or other unfortunate event. Thankfully, a plethora of technological advancements have helped reduce the incidence of accidents and complications, with one of the leading warriors against this being information. Mobile applications have become a solid source of information, and hundreds of millions of people around the world use apps on a daily basis. If you are currently pregnant and want to be proactive in terms of care and your options, then continue reading to find out about three excellent Android apps. When you first determine that you are pregnant, a variety of emotions are likely to be experienced. Those who plan to carry their baby to full term will most likely be elated with the news and will want to make the appropriate preparations in order to ensure a healthy pregnancy. The I’m Expecting app for Android devices can help expecting moms keep track of various appointments, medicines and learn more about the real-time status of their babies. You will be able to fetch weekly updates on your baby’s growth, monitor your weight throughout the pregnancy, track doctor’s appointments and other check-ups, and even connect with other moms via the app who are doing the same. Available for free, the I’m Expecting app is a great pregnancy scheduler and tool that is available via Google Play. 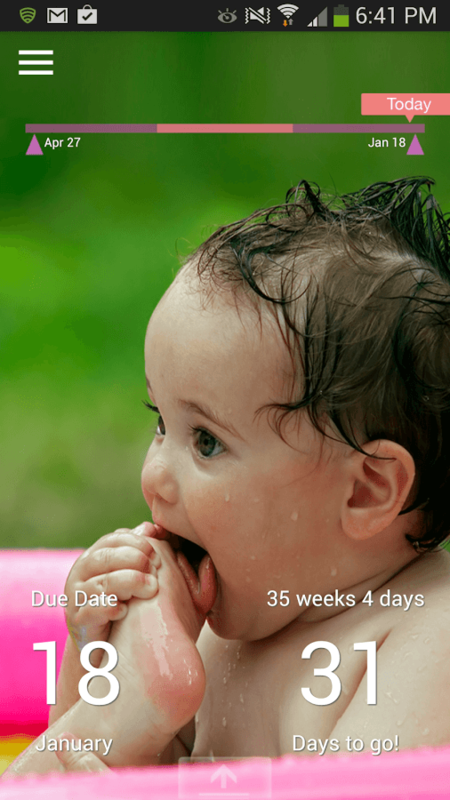 Anyone who wants to be aware of what each week of pregnancy will entail will probably want to download the Pregnancy 41 Weeks app from Google Play. Available for free, this app shows users each week of pregnancy and provides a wealth of information on how both mom and baby will feel and develop during this time. With full-colour images and diagrams that show various elements of baby’s development, expecting moms can keep track of their baby’s growth. There are also sections that help guide mothers and fathers as to what they should be doing to prepare for a new addition to the home. Not every pregnancy is viable nor is every expecting mother willing to carry to full term. The Abortion Questions app for Android may be a valuable source of knowledge for those who do not wish to have a baby, and will walk its users through various techniques and processes that can be expected. In addition to this, many different topics are covered, such as precautions that should be considered, which method of abortion may be the best for you based on certain conditions and for how long an abortion is available. The Abortion Questions app is available from Google Play and is a free download. I Have No Idea WhatsApp With You?